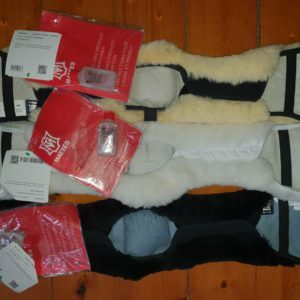 Mattes Anatomic Quilted Girth with removable sheepskin cover -For horses with good conformation. The elbow section is cut back to allow extra room for the elbow movement. For use with Mattes Anatomic Quilted Girths. Mattes Asymmetric Quilted Girth with removable sheepskin cover- For horses with more bulge below and a wide rib cage and/or with an awkward girth groove.The deeper recess in the elbow area allows even more clearance for the elbow, than the Anatomic girth. For use with Mattes Asymmetric Quilted Girth. 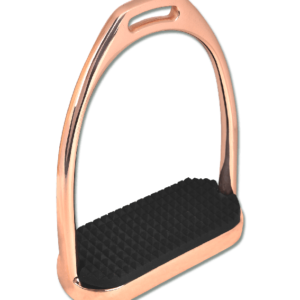 High quality Fillis stirrups in rose gold stainless steel with black rubber treads. 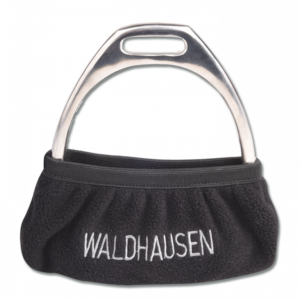 The Waldhausen Stirrup Covers protect your saddle from dirt or marks caused by your stirrup irons. • With memory foam that is heat reactive, the Shaped Comfort Girth will mould to the exact form of your horse. • The girth features elastic on both buckle ends as well as in the centre allowing additional movement and added comfort. • With memory foam that is heat reactive, the Supa Comfort Girth will mould to the exact form of your horse.